TMA's submission to the Forum of the Workplace of the Future organised by the National Centre for Partnership and Performance. Tom Martin & Associates/TMA were commissioned by the Institute of Physics in Ireland (IOPI), to prepare a report on a survey of third level physics graduates in Ireland, north and south. The report was launched in June 2011 by Sean Sherlock T.D., Minister for Research and Innovation. TMA in addition to analysing the data collected through an online survey also were also responsible for the design, layout and typography of the publication. We also prepared the many diagrams and charts in the document. 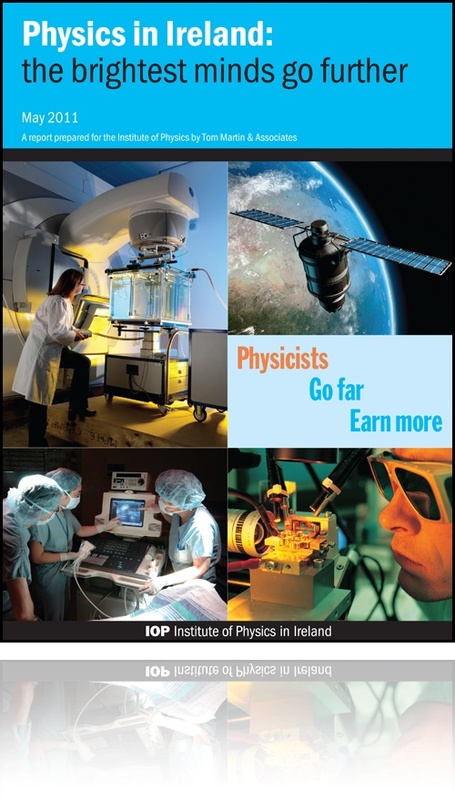 The report presents a profile of physics graduates in Ireland with particular focus on their earnings, employment situation, education qualifications, geographic location and skill sets. The report also examined starting salaries for physics graduates and highlighted the role of physics in the Irish economy.